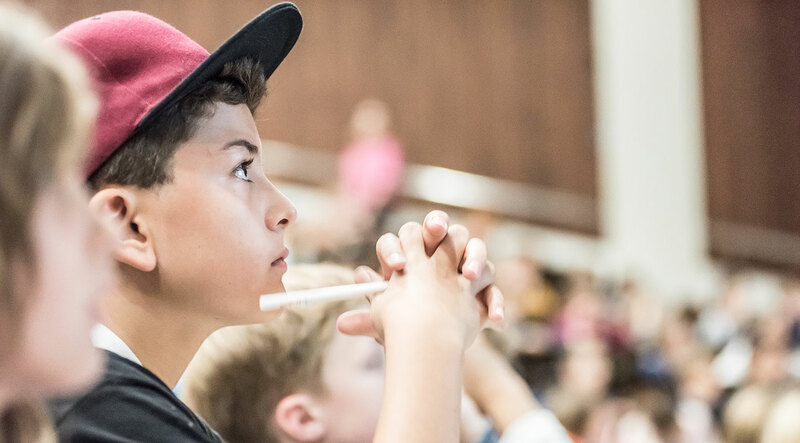 The Children’s University of Zurich is open to all children in years 3 to 6 of primary school, regardless of their grades or academic achievement. The canteen (Mensa) is open to all kids and the people accompanying them. They’ll get the same discounts as students. The Children’s University of Zurich receives financial support from sponsors and partners. The lecture series is completed. In the next semester a new, exciting program is waiting for you. The workshops take place on different days. Please note: The workshops are very popular, we collect all registrations and draw the places.